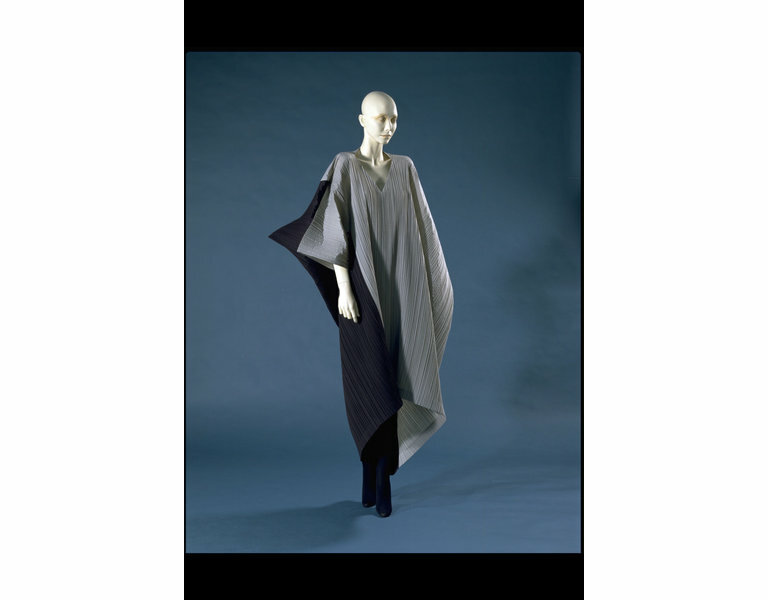 This dress is from Issey Miyake's 1990 'Rhythm Pleats' collection. 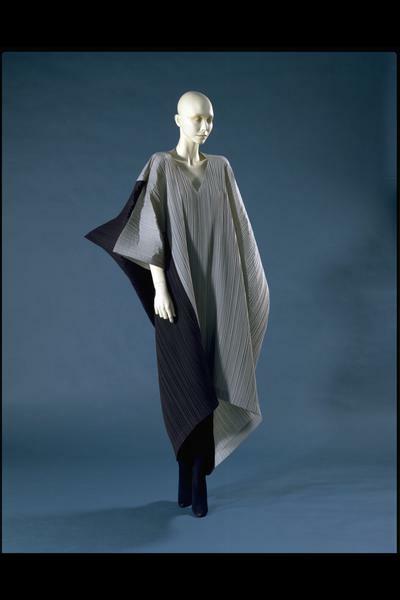 Through geometric cutting and the exploitation of the linear qualities of the pleats, which are often placed at different angles, Miyake has created two- and three- dimensional shapes. The garment is designed to move with the wearer, assuming independent forms which neither disguise nor reveal the body. Miyake displayed his 1990 collection in an influential exhibition in which dresses were shown on three-dimensional mannequins as well as spread flat on the floor. This particular dress has a rectangular shape when laid out flat. 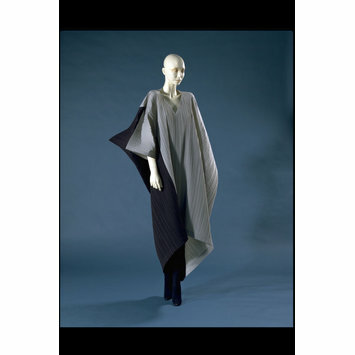 Historical significance: Since his first show in 1971, Issey Miyake has become an innovative fashion force, fusing elements from the traditional designs of his native Japan with uncompromising modernity. His clothes are admired for their deceptive simplicity and wearability as well as for their more formal sculptural qualities.